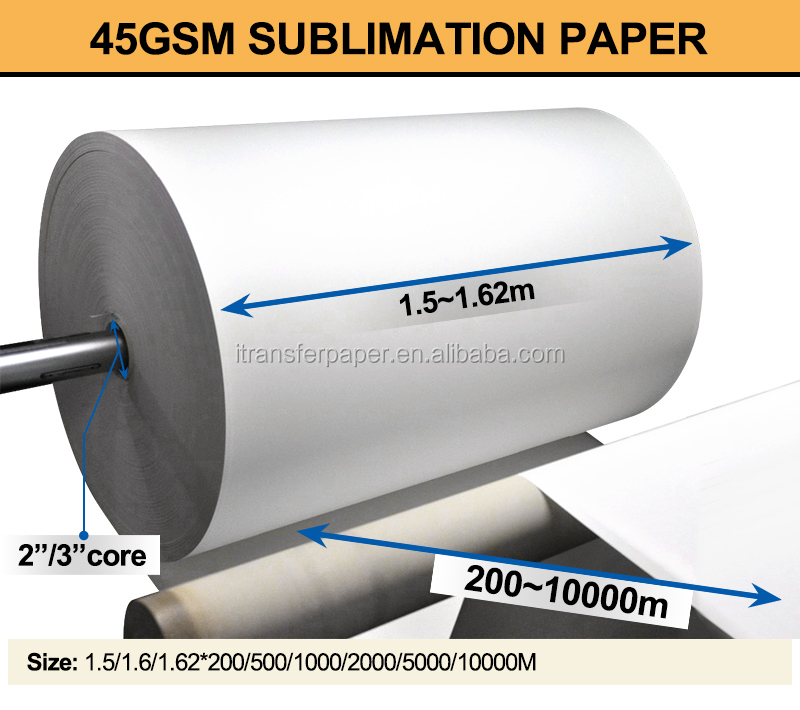 and improve production efficiency.45gsm high speed sublimation paper for high speed printing with 10000M. 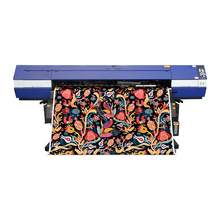 1.Work on all inkjet printers, sublimation printers and indoor printers. 2. 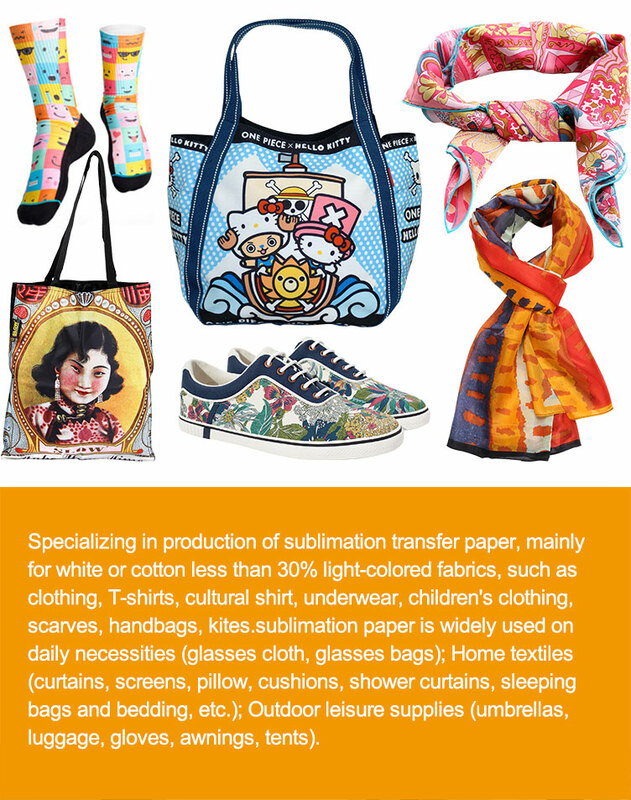 Use sublimation ink to print. 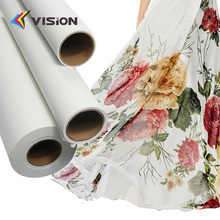 3.Transfer the printed transfer paper to fabric textile with good results. 5. Transfer rate highly to 95%. within 2-3 days after we receive your payment . 1. 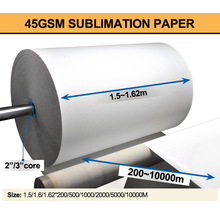 Key Factors to the Drying Rates of Sublimation Transfer Paper. 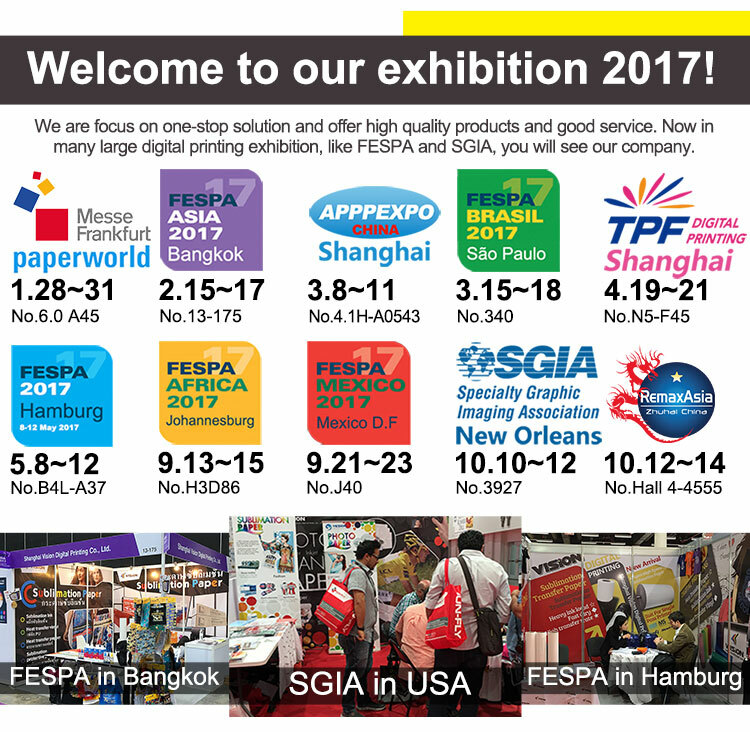 (3) The amount of print ink. 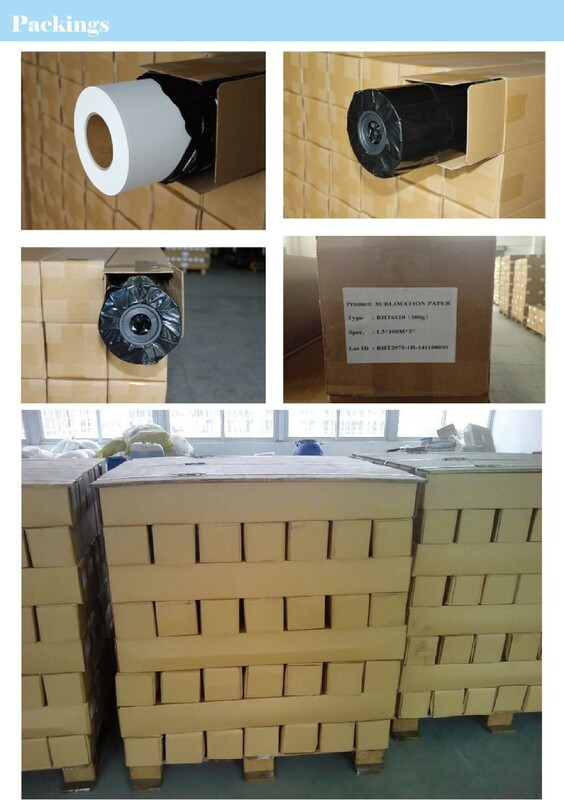 Artificial drying measures can be accepted, such as heaters, drying lamp and so on. 2. 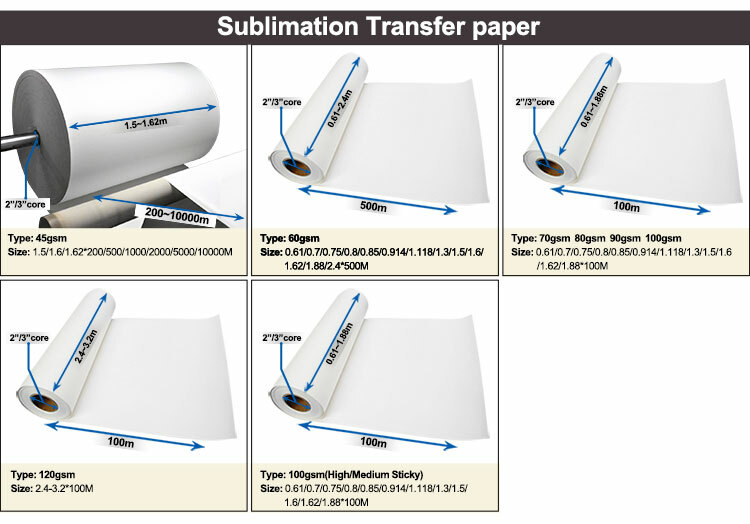 Specific Drying Rates and the Transfer Temperature of Sublimation Transfer Paper. Usually, the temperature is within 200-210℃ and needs to dry for 1-2 minutes under conventional conditions. 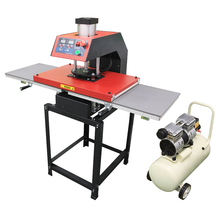 But sometimes, the special fabric can only bear below 200℃, here, you need to adjust the suitable temperature. 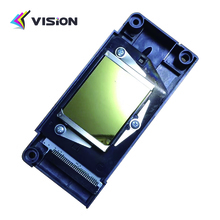 In this case, you should know low temperature will greatly reduce the transfer rate. 3. Ink series, mainly dependent on the print head. 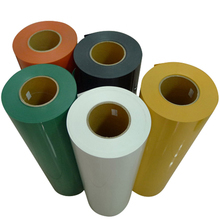 clients currently use and if there have any requirements for black ink. paper itself and lies in Huangshan. 6, What is your payment terms?